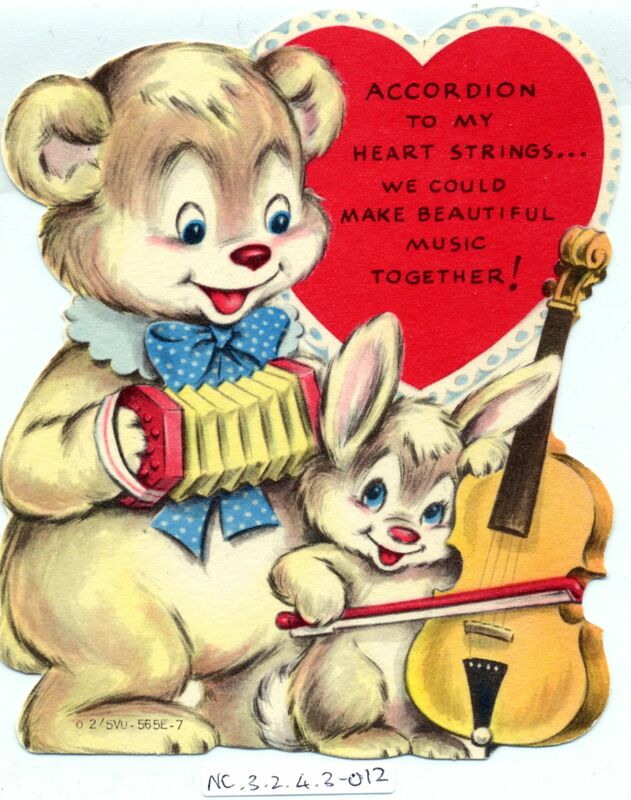 Full Description: One of a group of four 1940s-era American Valentines, all featuring comic usage of concertinas, and sent to various children between 1942 and 1963. This smaller one (130 x 80mm) features a jovial teddy and rabbit with a dainty bellowed ‘tina and fiddle. See also NC.3.2.4.3-011, NC.3.2.4.3-013, and NC.3.2.4.3-014.